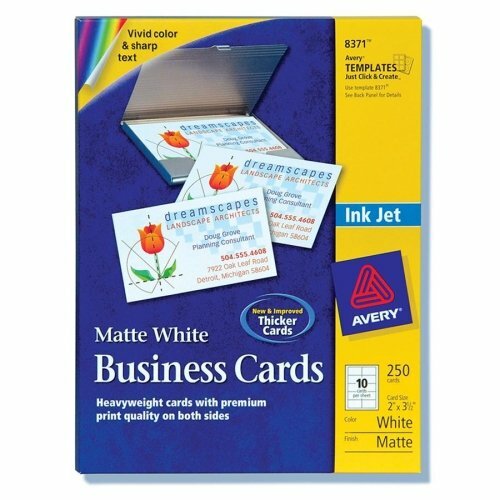 Use your inkjet printer to create professional-looking business cards. Ideal for everyday use or for times when you need to make title or address changes, cards for new employees, or customized messages. Ultra-fine perforations allow you to separate cards easily and cleanly. High-quality, heavyweight, matte-coated cardstock provides vivid colors and sharp text. 2" x 3-1/2" cards are printable both front and back. Avery offers many easy-to-use templates for Microsoft Word and other popular software programs.